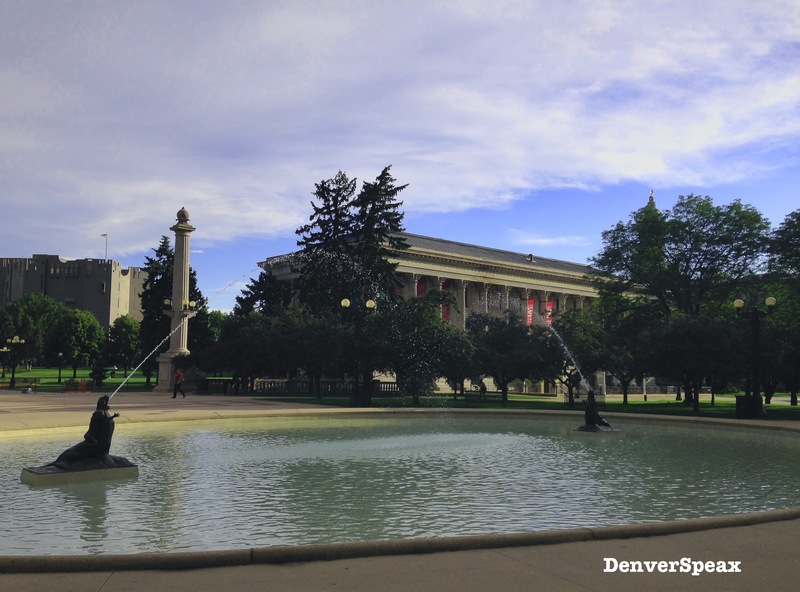 There are SO many parks in Denver (over 200 in the city and county combined) offering the perfect landscape for circuit training. Benches, ledges, paths, and your own body weight can go a long way and help your wallet also! In City Park, where benches are everywhere, we like to pick 20 benches and rotate exercises such as arm dips, step ups, squats, and push ups in small sets. Sprint from bench to bench, in between the exercises performed on the bench, to keep your heart rate up. Not close to City Park? No problem! Find one near you and get moving. Low cost, high impact, with great results and no monthly fee. 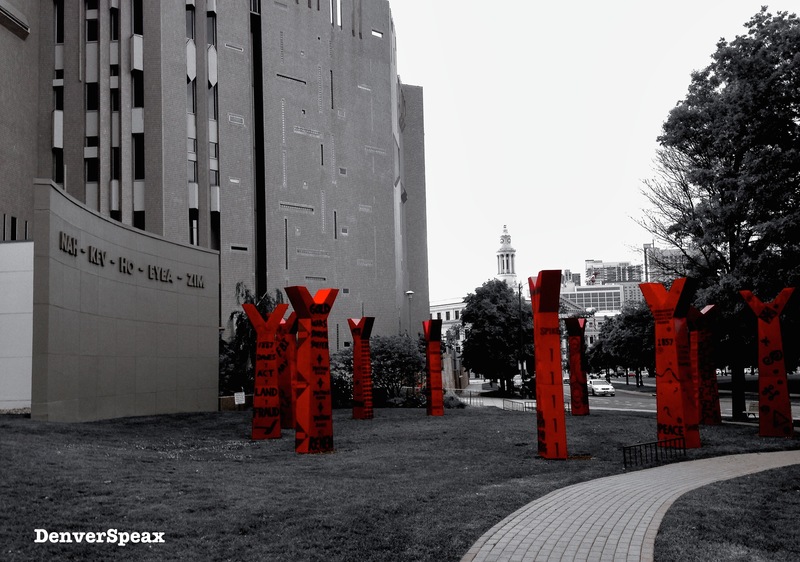 Use the resources this great city provides. Take some great shots while you’re out there! How do you get active in your local park? Tell us about it! 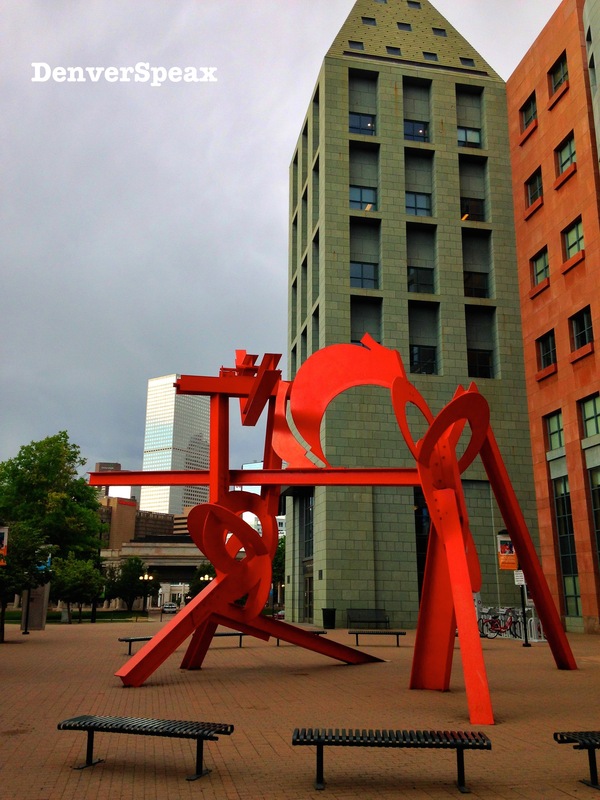 Urban Hiking – Yes, it’s a real thing. 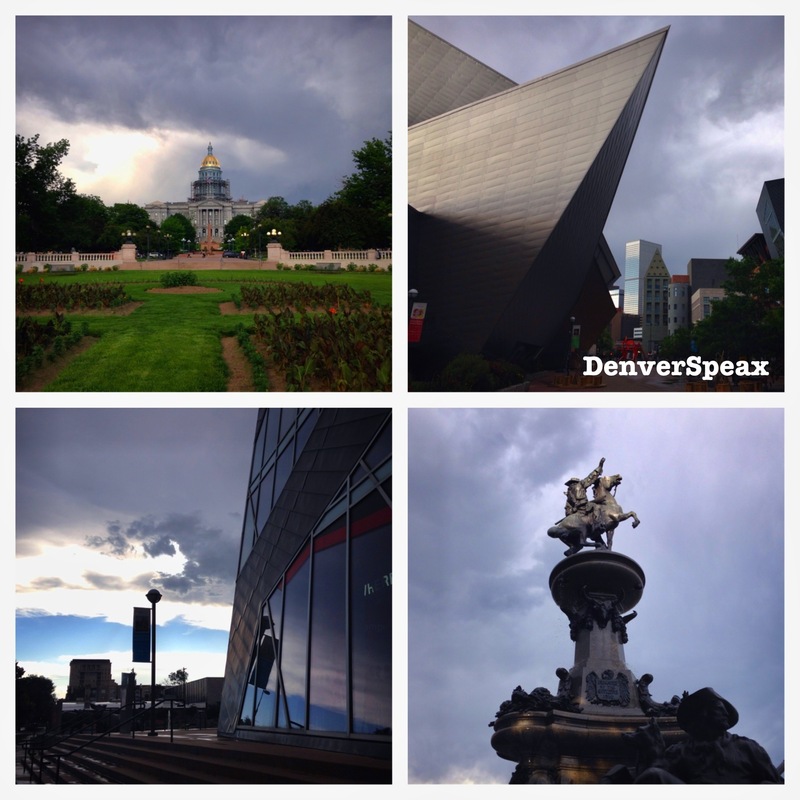 Denver….er, well, Colorado’s weather hasn’t been cooperating much as of late. Tornados, hail, rain, thunderstorms, you name it. It’s making it pretty hard for us to conquer the remaining miles in the June Hike Challenge. Planning hikes and then having the weather screw up your plans is not only frustrating, but can cost you gas money, time, and energy. For these reasons, plus not wanting to let another day go by sans hiking, Moguls and I set out on an Urban Hiking Adventure around the capitol this afternoon and knocked two more miles off of our 50 mile goal. 45 more miles to go! Take a look at our journey! Urban hiking is actually a real thing – people document their urban hikes throughout cities, including cool quirks like staircase connections, unseen walkways, and much more. 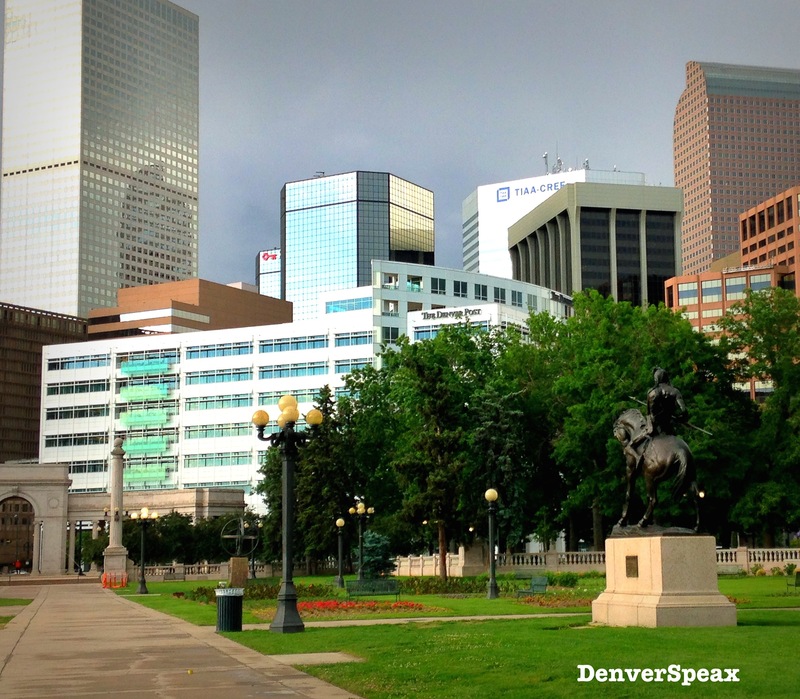 Moguls and I kept to the sidewalks and walkways of the different parks, but look forward to finding interesting, less-traveled parts of Denver on our upcoming excursions. Urban hiking is not only less costly then driving somewhere to hike, but it’s also good for the environment. Get out there, Denver. Urban Hike! Get to know your city using the power of your own body. Check out more hiking adventures on our Facebook Page. 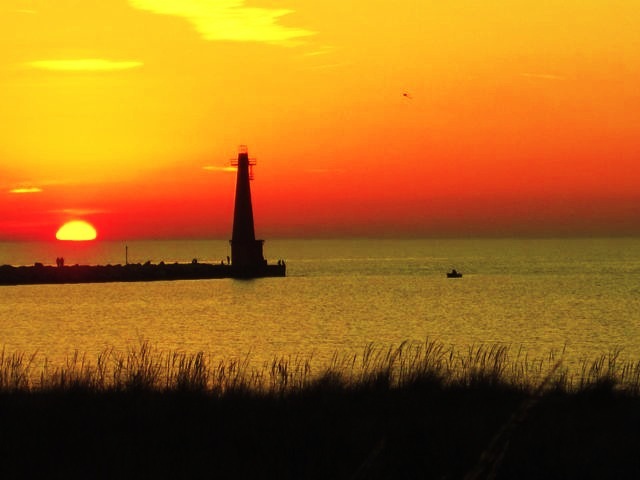 Growing up in Michigan, a beautiful place surrounded by (what seems to be) an endless supply of water, it’s easy to take for granted how incredible of a resource the Great Lakes truly are. When I was much younger, I didn’t really understand why my parents were constantly reminding my siblings and I to conserve water; it was everywhere, wasn’t it? It’s not like it would run out! Silly parents. What I didn’t understand at that time was how precious clean, accessible water is for a healthy, sustainable living. Beautiful Lake Michigan. 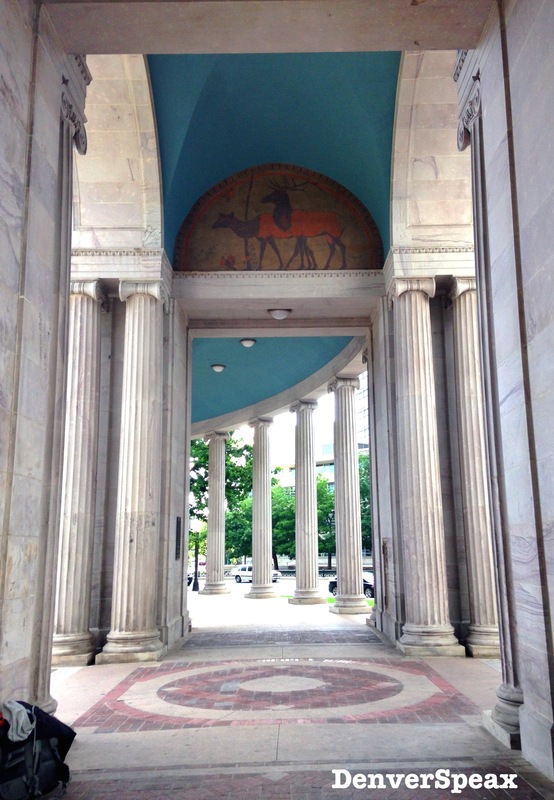 Photo Credit: Jackie Balcom, July 2013. In such a prosperous, developed nation-state as the United States, it’s hard to think about water as a limited resource; it’s difficult to wrap our heads around the fact that, worldwide, 783 million people are in Water Poverty, meaning their closest source of water is far away, or possibly unsanitary/unclean, or just not affordable. There are individuals in the world who do not know when they will have their next drink of clean water. Women carrying water in Central America – photo is courtesy of National Geographic, accessed June 2014. Click through for provided image. 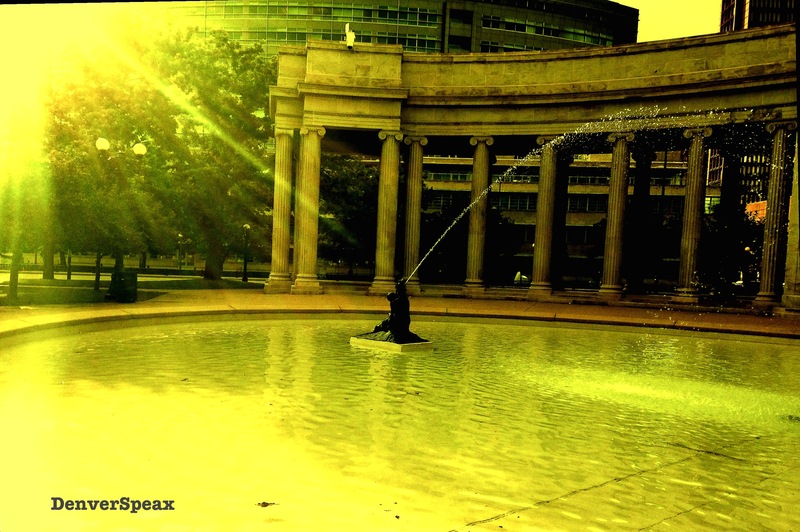 Late last month, Denverspeax was contacted by a group with not only big hearts, but an amazing plan: The Colorado 54. 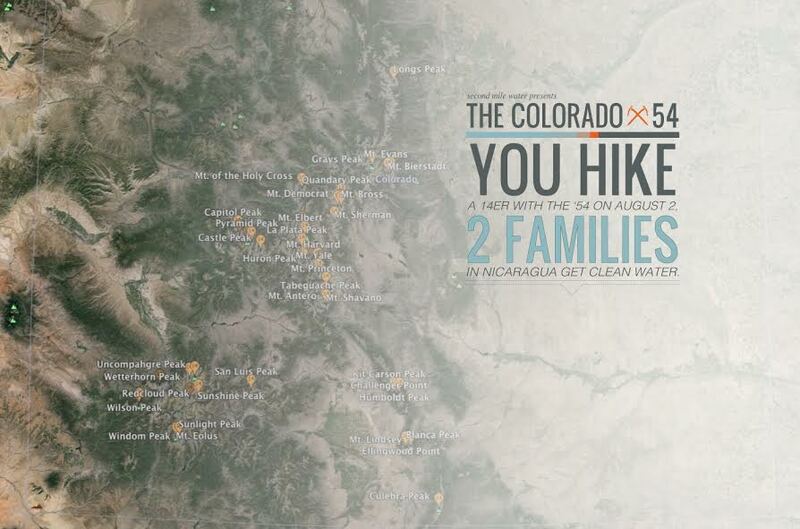 Organized teams of 500+ men and women will ascend 54 total 14er’s (14,000 vertical foot mountain) simultaneously throughout Colorado in an effort to end water poverty for 1000+ families in Nicaragua. Click on the logo to visit The Colorado 54 Official site! 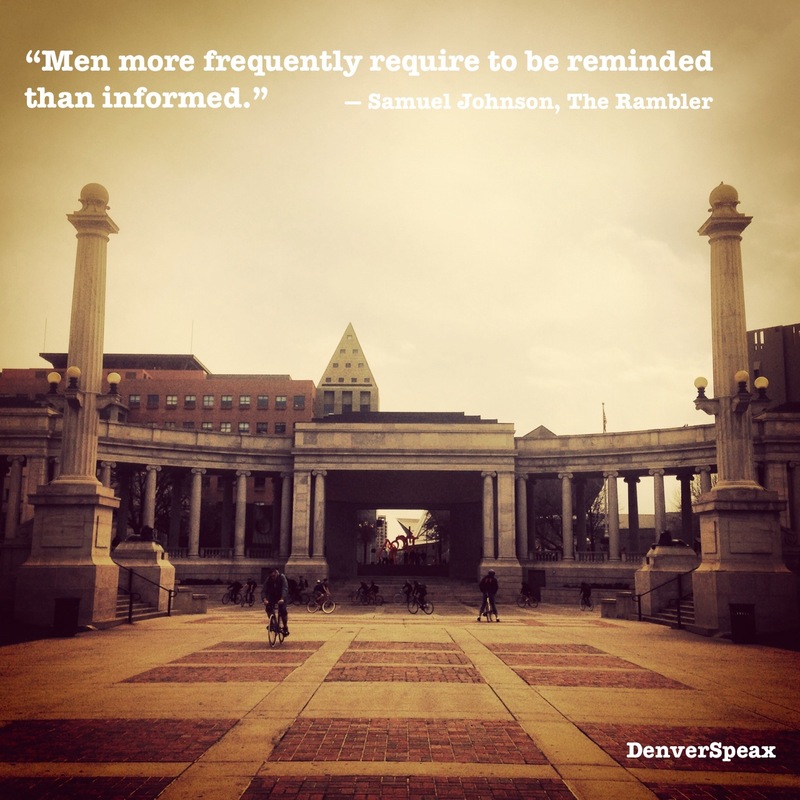 Photo Credit: The Colorado 54, June 2014. While the actual hiking event takes place on August 2nd, 2014, registration is required ahead of time for a cost of $50, which guarantees the arrival of each participant’s welcome kit, including a Colorado 54 athletic shirt, stickers, and snacks from Colorado 54’s sponsors. Each participant can join or start their own campaign team to raise $500, which is the cost for a permanent, clean water solution for two families in Nicaragua. Register fast as the limit is set to 540 participants! To find out more regarding the actual event day including awards, how individuals will be tracked, etc., please check out The Colorado 54 Official site. Nervous about campaigning? Don’t be – they’ve made it easy to get donations from friends, family, and coworkers. Sponsors donate directly to your customized campaign page and receive an email confirmation with their tax deductible receipt. Even though the hiking event is taking place in August, register and participate now to be a part of interviews and exclusive give-aways! This is an incredible opportunity to not only unite as a Colorado community, but also to help end a serious issue. What I think is amazing is that both can be done by banding together and hiking – definitely something Coloradans are known for! Why not hike for a cause? Why not make a difference in others’ lives with this special 14er on August 2nd? Think about it – what an extraordinary feat we can all accomplish together. Special thanks to Kayleen Cohen for getting in touch with us regarding this event; we appreciate all information and pictures you all have provided, and look forward to spreading the word regarding this awesome event moving forward! Gociety is a site we’ve been watching for a while, and for good reason; their concept is fresh and new, and provides a GREAT service to the Colorado community. With Gociety, you can meet people from all over Colorado getting outside and doing what they love! For example, we are avid bikers and appreciate meeting new people to bike all over Denver with – Gociety is a platform that will help us out with this. Creating a Gociety profile is super easy – we just made one! By visiting Gociety, you can join via Facebook profile, OR email. Fill out info about how you get down in the great outdoors of Colorado, and BOOM! 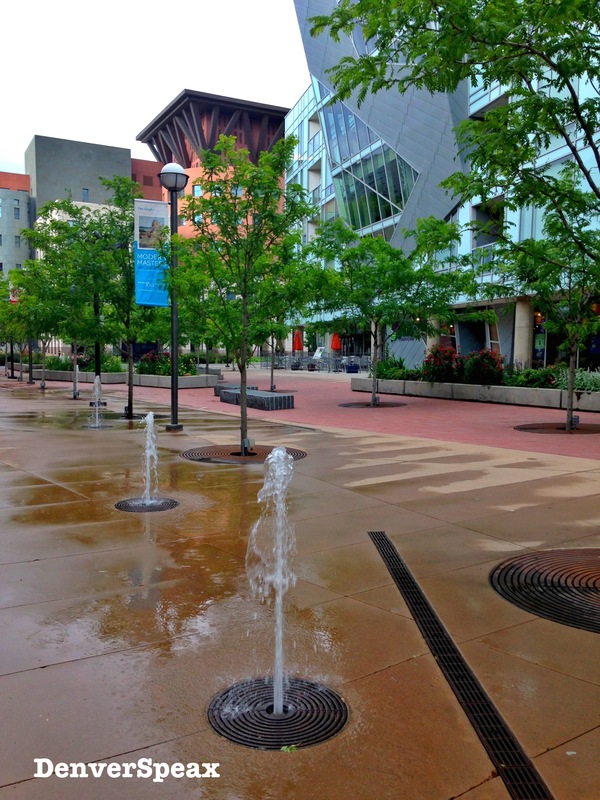 – you have a Discovery Feed outlining multiple outdoor activities in areas all over Colorado. From Cat Skiing to to Fly Fishing to multiple runs and triathlons, there is a TON to do – and what better way to find it than one, organized Discovery Feed via your personal Gociety profile. Search options on the right-hand side make it easy to limit the feed to your interests only. With an easy-to-use platform, it’s no wonder more and more Coloradans are catching on to Gociety‘s awesome idea. We can’t wait to sign up for a few events (aka, Gocieties) and meet new, awesome people that love getting outside. We’ll be sure to give you an update as well as an inside look of our experience. Stay tuned! For the meantime, go check Gociety out on the web or on Facebook and see what they’re all about for yourself.